The celebration of a wedding is nothing but pure joy from the very first moment you communicate it to family and friends, so you’ve got to do it in a way that is both original and memorable. Forget the boring and classic wedding invitations and go for something original from Serigrafía El Coyote. So what is is that differentiates his work from the rest? 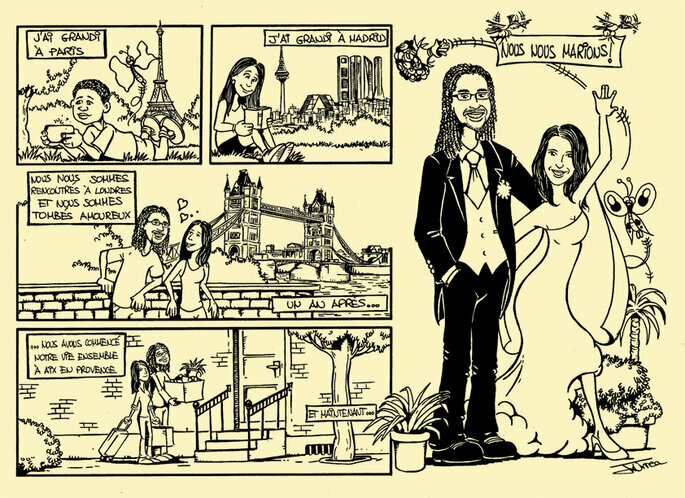 You and your caricatures are the main characters of your own wedding invitations. 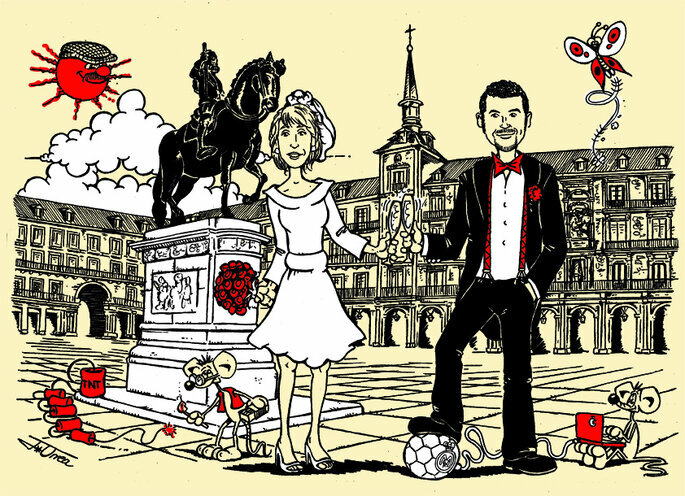 Each couple is unique and each wedding is different, so the invitations should be too. These fun invitations can be adapted to suit your style and whichever type of wedding you’re having. You’ll be hard pushed to find anything else like it! 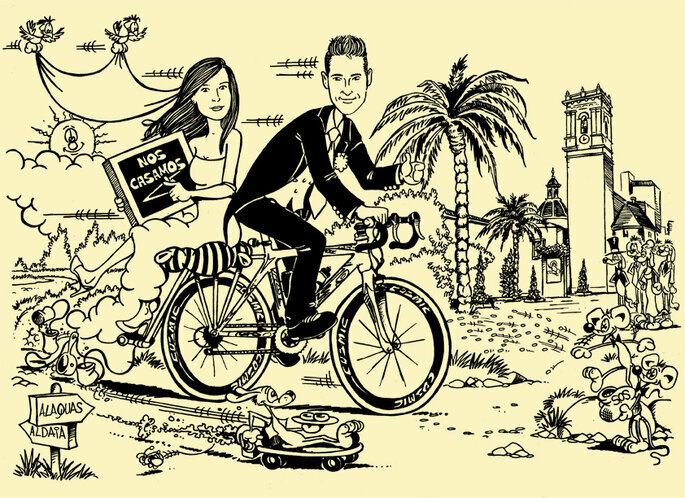 If you’re looking for something different for your wedding, don’t think twice about choosing Serigrafía El Coyote – they will prepare a bespoke design that is fun and surprising and created especially for you. You will get invitations that really reflect who you are, your personalities and what you want to convey. Just send them your photos and tell them your tastes and hobbies, and based on this information, Serigrafía El Coyote will design something that is just right. On top of that, you can write the text that will be printed on the invitation, so that it’ll always reflect what you want, with your own words and characteristic expressions. 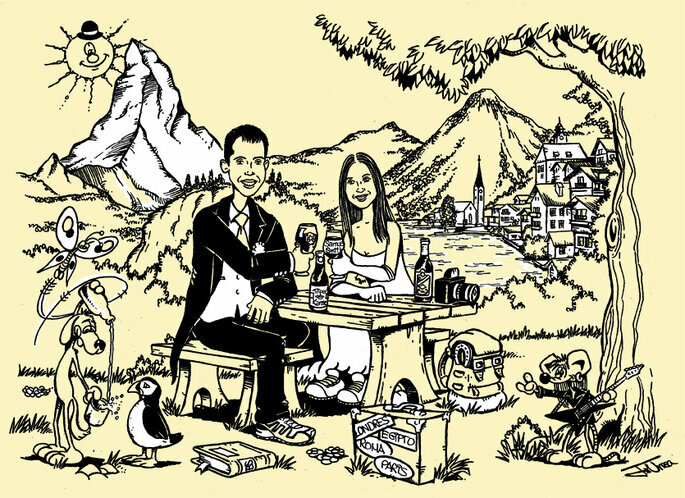 Only when you approve the illustration and the text will it be printed (by silk-screening, so the finish of your wedding invitations is the same as that of an actual piece of artwork.) It will be perfect! And, in addition to creating your wedding invitations, you can find photobooths, tablecloths, greetings cards, guestbooks and other matching accessories with the same originality and quality as your invitations. 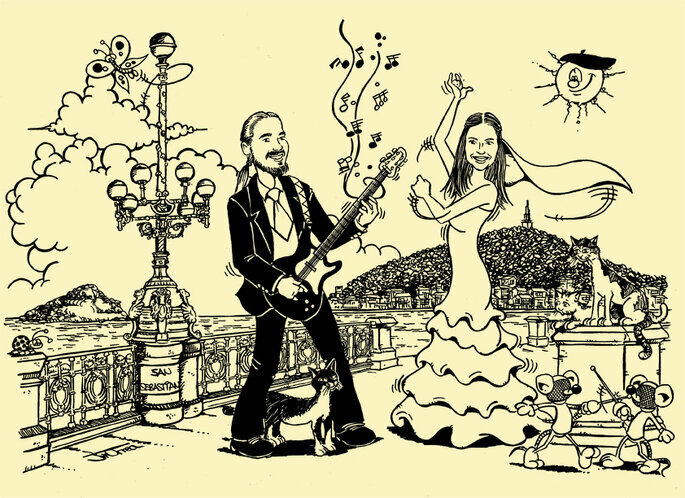 If you are looking for some original wedding invitations in which your caricature is the protagonist, contact Serigrafía El Coyote and surprise your guests from the get-go.